Laura Finnigan, TSP Director, who leads the Residential Property team, discusses the importance of effective communication when dealing with your legal advisor, whatever your matter may concern, but, in particular, highlights some of the pitfalls and problems that can occur when purchasing a property if you don’t tell your advisor something which you may not think is particularly important or do not read and act on the paperwork you receive. 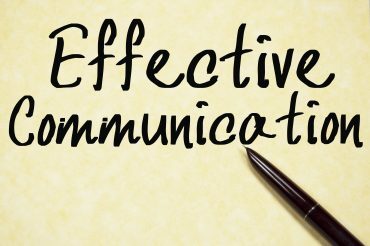 When you instruct a legal advisor to act for you in connection with any matter, you will no doubt receive communications from them by various means, for example, in writing (by post or email), over the telephone or at a meeting in person. It is important to establish from the outset of your transaction your preferred method of communication. If you don’t have email, post may be best. Alternatively, if you want the matter to proceed as quickly as possible and want to be alerted speedily to any progress email or telephone may be preferable. In addition, if you have any particular areas of concern or interest regarding a property transaction, no matter how small or insignificant they may seem to you, it is extremely important that you let your legal advisor know about these at the outset of the transaction or as soon as they become apparent. An example of this would be if you were purchasing a flat as an investment, to let out. If your legal advisor knows about this from the outset they can review the lease as soon as it is received from the seller’s legal advisor, in order to establish that there are no restrictions on the title or in the lease prohibiting subletting (as there occasionally can be in some leases), before initial searches are submitted and major costs are incurred. Another example would be if you had a cat and were looking to re-locate to a flat with your cat. A prohibition on keeping pets is common in leases and the legal advisor would be able to check this for you. Of course, your legal advisor does not know what is most important to you so it’s important that you advise them of these types of things, from the outset. It is also extremely important to thoroughly read any communications received from your legal advisor as the documents they send you will include important information and may include action points for you. A good example of this would be that on exchange of contracts, responsibility for putting in place buildings insurance on a property transfers to the purchaser (unless the contract states otherwise). Your legal advisor should advise you if this is the case. However, if you have not read this advice or actioned the request following a conversation with your legal advisor, this could have serious consequences. A situation was reported in the press recently concerning a couple who exchanged contracts on the purchase of a property. During the extended cold weather earlier this year a pipe at the property froze and then burst. This caused damage totalling more than £50,000, but they had not actioned the advice of their solicitor and put in place buildings insurance on exchange of contracts and the property was not insured for the damage. As you can see, keeping the lines of communication flowing with your legal advisor and making sure that you read all of the paperwork carefully is extremely important during a conveyancing transaction. Be clear with your legal advisor about where your priorities lie and any particular areas of concern or interest you have as soon as these become apparent to assist the transaction going through efficiently and in accordance with your requirements. Laura and the Residential Property team at TSP can be contacted on 01206 574431 or by email at movinghome@tsplegal.com. They can help with all matters relating to Residential Property, but in particular, purchases, sales and remortgages.